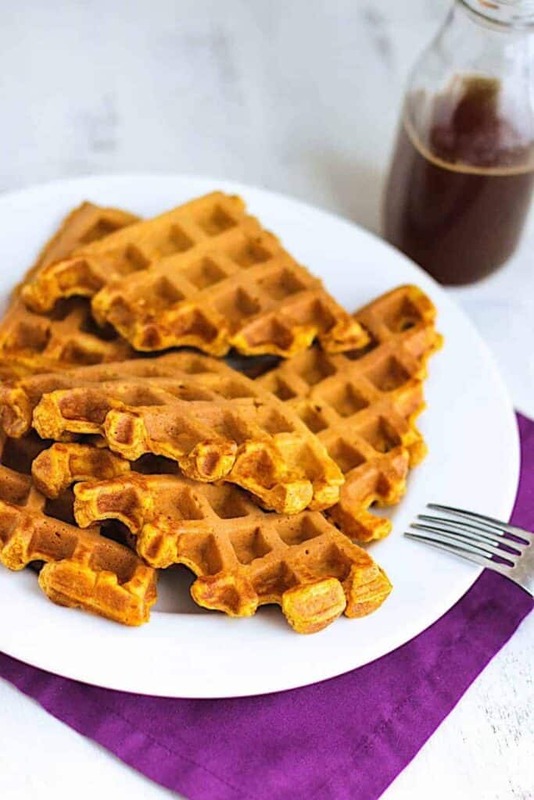 These Pumpkin Waffles are delicious, particularly when topped with some butter and a little maple syrup-apple cider reduction. In a medium bowl, whisk together the flour, brown sugar, baking powder, baking soda, salt, cinnamon, nutmeg, and ginger. Set aside. In another medium bowl, combine the milk, pumpkin puree, egg yolks, and melted butter. Whisk together until everything is combined. Add the wet ingredients to the dry, and mix until things are just combined. Set aside. In a small bowl, whip the egg whites until stiff peaks form. Fold the stiff egg whites into the batter. 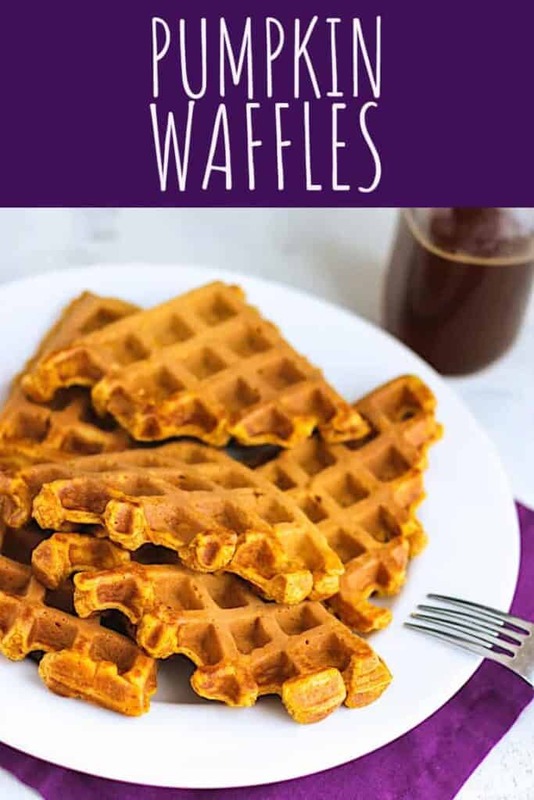 Prepare the waffles according to your waffle-maker's directions. Combine equal parts real maple syrup and apple cider in a small sauce pan. Heat over medium heat until reduced by about half. 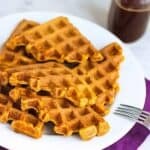 I know you’re looking for more waffle recipes. Classic Homemade Waffles are never a bad move. 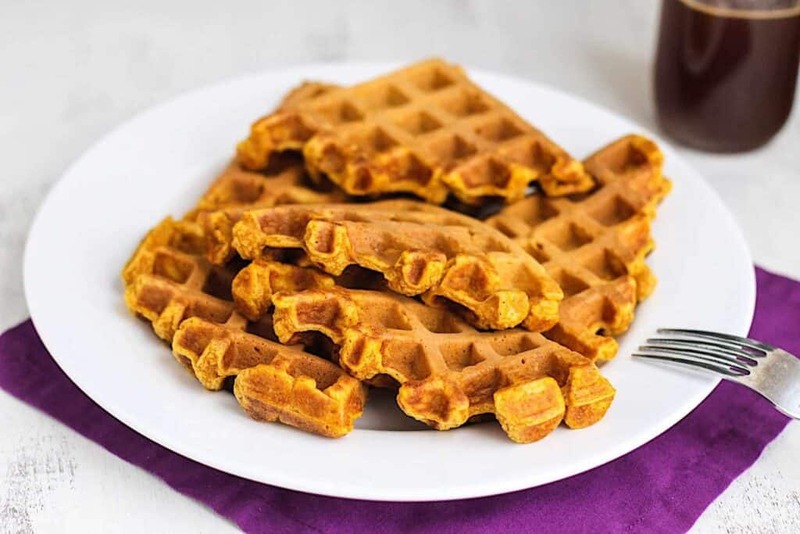 Churro Waffles and Sweet Potato Waffles are also 10/10!